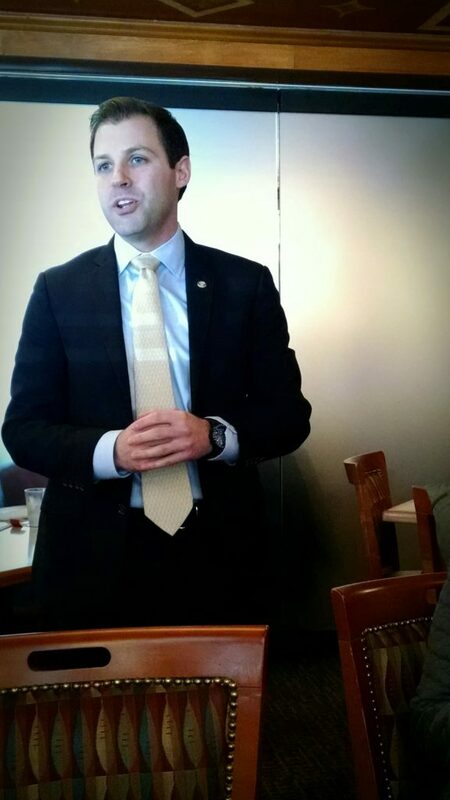 Table at Representative Schlossberg's event on March 4, 2017. 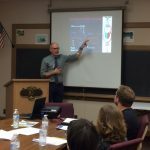 David Frankenfield presenting on indirect calorimetry at LVDA’s fall continuing education event held on November 9, 2016. 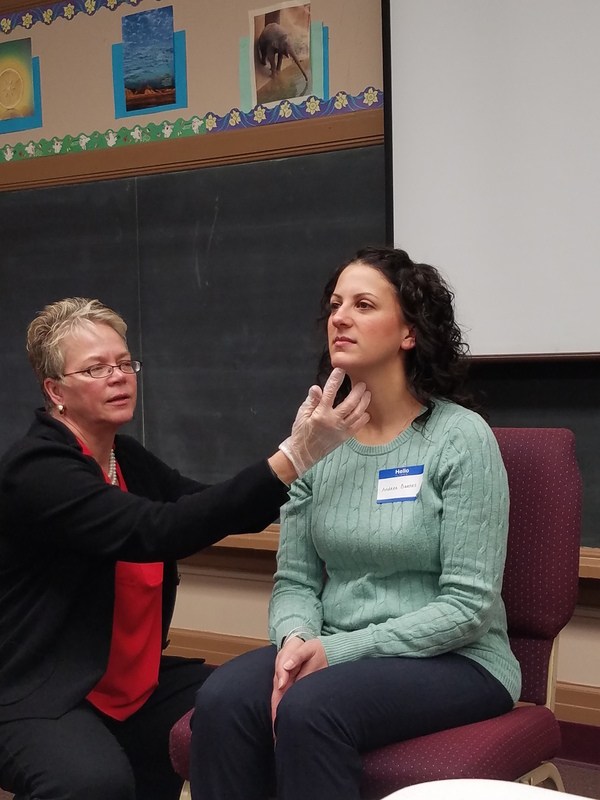 Dr. Jane Ziegler, DCN, RD, LDN, Associate Professor and Program Director, Doctorate of Clinical Nutrition Program, at Rutgers, offered a three hour, hands on experience in conducting nutrition focused physical examinations, developing skills and techniques for RDs to use in their practice. 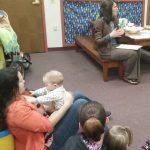 Small group interaction offered unique opportunity to ask questions. 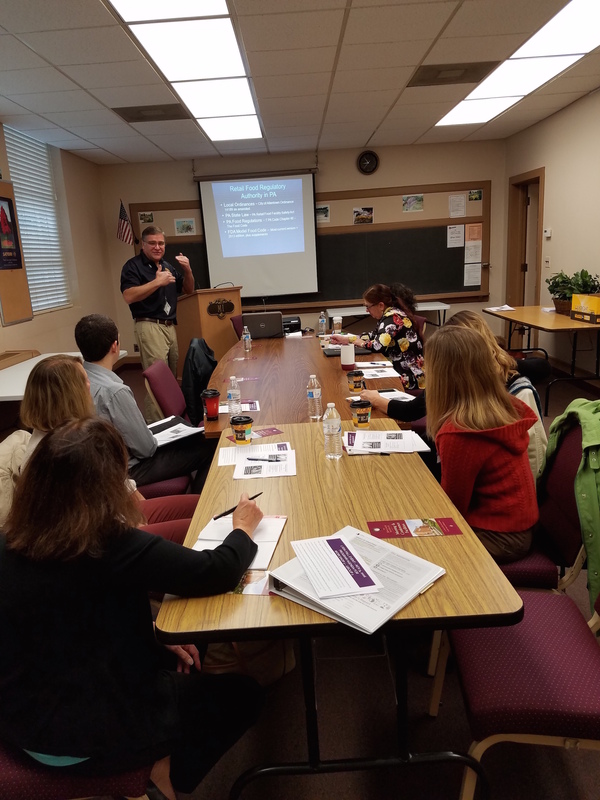 Garry Ritter, Allentown Health Bureau, Environmental Field Services Manager, sharpened our understanding of food safety, regulatory jurisdiction, and the food product recall process, offering excellent resources for food service inspection and staff training for high risk groups. 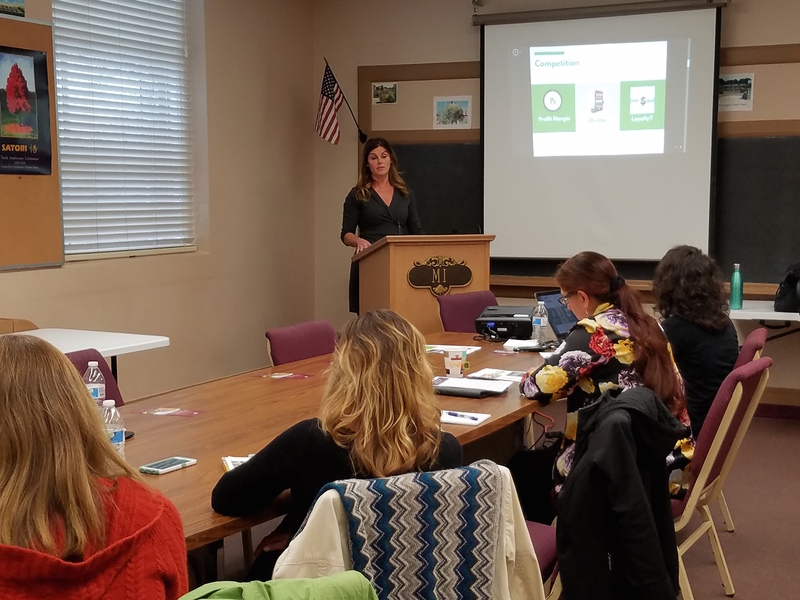 Meredith McGrath, RD, LDN, Redner’s Markets, showed us how dietitians are employed in the retail supermarket industry in presenting health and wellness as a competitive strategy, as expert advisors working with the media and community at the corporate level and in stores. 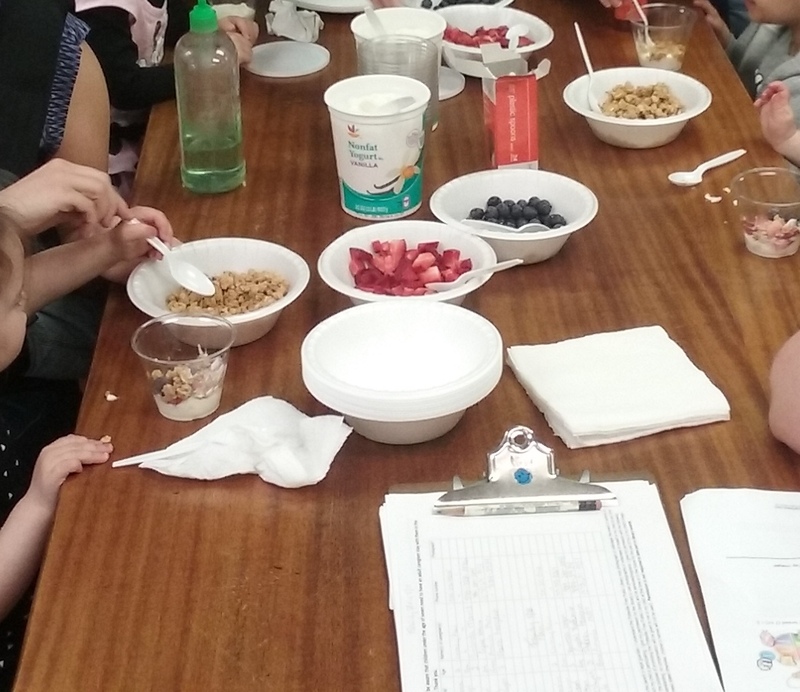 Registered Dietitians, Jen Doane and Jacqui Jarrett providing outpatient nutrition counseling. 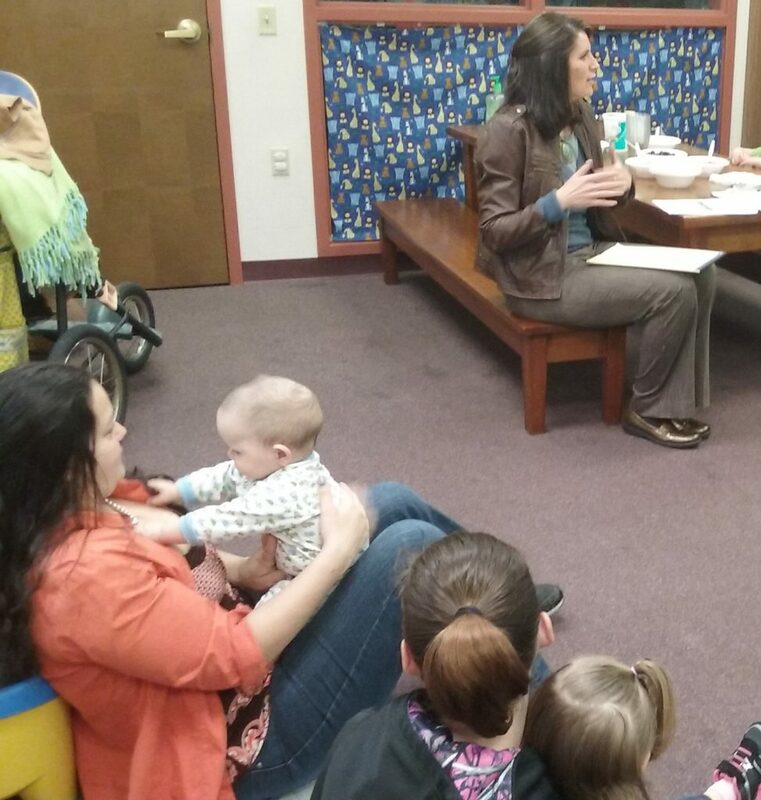 LVDA member, Lisa Eckley, presented at the Pottsville Free Public Library during their Family Place program in May 2016. Andrea Barnes & Amy Romberger at the annual Senior Fair on April 29, 2016. We invited officeholders representing state (two state legislators, one state senator and one1 Congressman) and federal legislative districts in Carbon County. Bill Richards, Deputy Chief of Staff for Senator John T. Yudichak, D-14, replied that he would attend. Nancy Matyas and Jan Little visited Bill Richards in early 2013. Ultimately, Brad Hurley, Media Relations to Senator John T. Yudichak replaced Bill Richards, Deputy Chief of Staff, was sick. Gnaden Huetten Campus staff: Joe Guardiani, Vice President of Fund Development & Government Relations; Community Relations, greeted Brad Hurley when he arrived. Nancy L. Matyas, Denise A. Frey and Susan Generose are constituents of Sen. Yudichak. Nancy and Denise are constituents of state Rep. Doyle Heffley while Susan has Rep. Toohill. Jan Little and Kiersten are constituents of Rep. Gary Day and Sen. Patrick Browne. 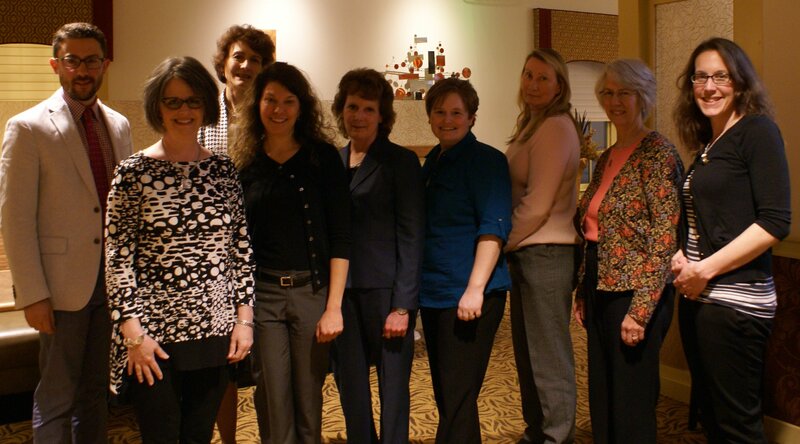 Kiersten attended PPW with other dietetic interns from IUP. 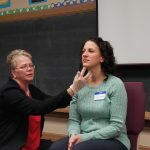 The RDs each told Brad about their positions and the medical nutrition therapy they gave to patients at the Gnaden Huetten and Palmerton campuses. Susan Generose spoke about the special diabetes programs offered at Gnaden Huetten. Kiersten talked about how nutrition assessment is conducted for every patient within 24 hours of admission. Brad asked Denise to compile a “List of Concerns” for him. Denise emailed the list that day. 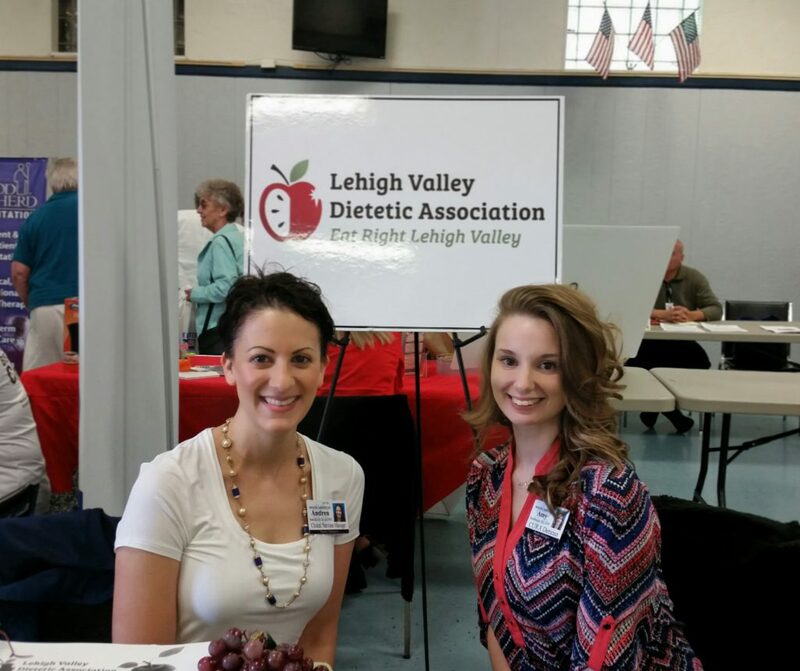 On Friday, May 15, 2015, the Lehigh Valley Dietetic Association hosted “Take Your Legislators to Work Day”. in the Conference Room, Phoebe Terrace Retirement Community, 1940 Turner Street, Allentown, PA.
Two Phoebe Ministries staff, Charles L. Fehr, CRFE, Director of Institutional Advancement and Brynn Buskirk, Director of Marketing and Community Relations, greeted our guests as they entered Phoebe Terrace. Legislators attending were State Representative Ryan Mackenzie, R-134 (pictured above), Michael Dee, Legislative Assistant to State Representative Daniel T. McNeill, D-133, Wendy Schlappich, District Office Manager, State Representative Julie Harhart, R-183 and Melanie Whiteleather, MPA, District Ofice Manager, and Constituent Services Representative, Confressman Charles W. Dent, R-15.. State Representative Justin Simmons, R-131, was unable to attend. 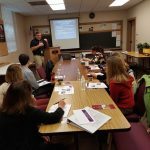 Mitch Possinger, President and Founder, and Jim Crossing, District Manager, Cura Hospitality supported testimonies given by five registered dietitians. These included Joseph Herman, MS, RD, LDN, Senior Director of Clinical Nutrition Services, Andrea Barnes, MS, RD, CSG, LDN, Clinical Nutrition Care Manager at Phoebe Allentown and incoming President-elect, LVDA, Nora Allen, RDN, LDN, Assistant Director of Dining Services/Registered Dietitian, Lutheran Community at Telford, Telford PA and Public Policy Chair, LVDA Janet Little, MPH, RD, LDN, Clinical Dietitian and LVDA President, and Amy Romberger, Dietetic Intern, Cedar Crest College and Secretary, LVDA. 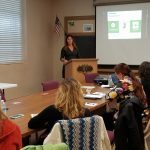 Information that Jacqueline Jarrett, RD, LDN, CDE, Vice-President and Co-owner, Advantage Nutrition & Wellness, LLC, Bethlehem, PA, shared during the event held in Nazareth on April 17 was included in the packet we distributed to all attendees. 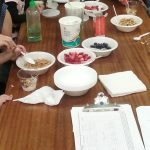 We also included a document describing the events our members put on in public libraries in Lehigh and Carbon counties during National Nutrition Month in March. 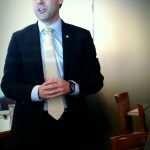 Since Rep. Harhart’s district is also in Northampton County, we included the article about our events we held in Northampton and Monroe counties in Wendy Schlappic’s leave behind packet. 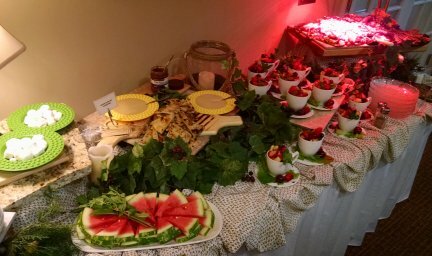 Kim Wilson, who works for Cura as the Director of Dining Services at the Terrace, set up the delicious refreshments. Just like previous events, many staffers stayed afterwards to enjoy the refreshments and discuss our issues informally. Many of them expressed how much they learned about our route to the RD and what exactly we did. This summer and fall, we do intend to set up visits to the district offices of the 5 state legislators who could not attend. We will visit any U.S. Representatives who were not visited in PPW. 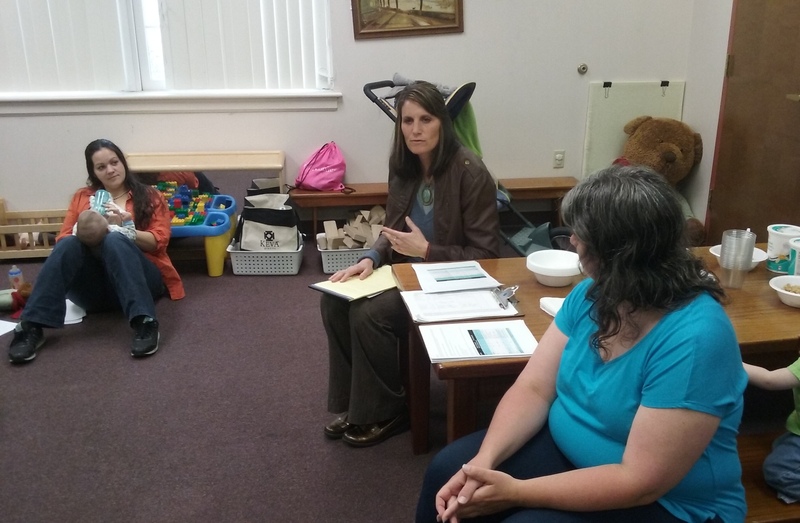 On Friday, May 1, 2015, the LVDA held “Take Your Legislators to Work Day” at Phoebe Ministries in Berks County. 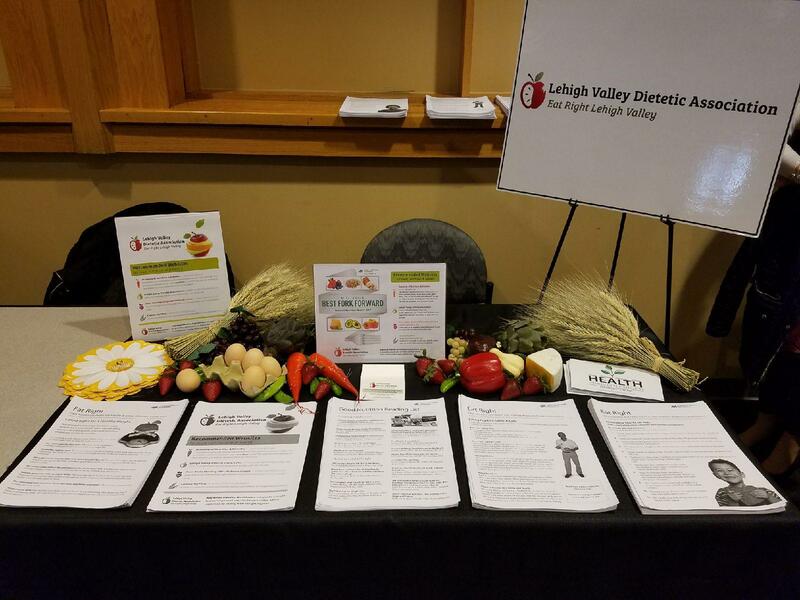 The Lehigh Valley Dietetic Association hosted a meeting in the Village Dining Room titled “Take Your Legislators to Work Day”. Bonnie Rimby-Bean and Danelle C. Parisi II, District Outreach Specialists for newly elected State Representative Barry Jozwiak and reelected State Representative Mark Gillen, and Kori.Walter, District Director for newly-elected Congressman Ryan Costello are seated on the right. On the left were Andrea Long, Marketing, Robin Stoudt, Village Manager, Debra Gogno, NHA, Mary kay McMahon, RN, Executive Director. 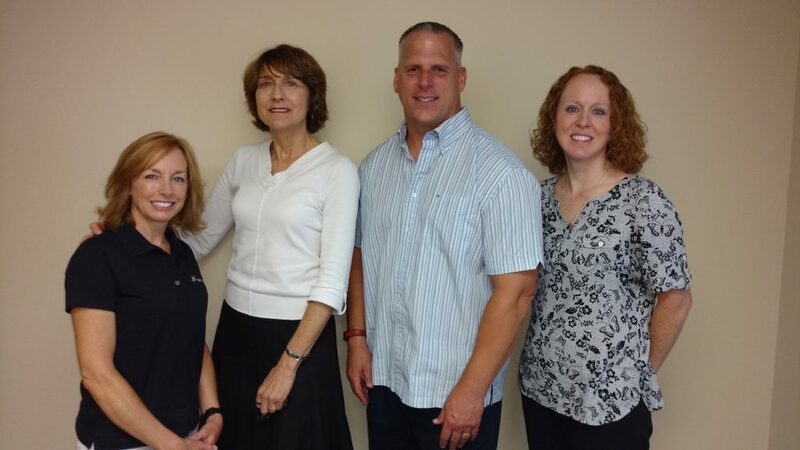 The LVDA members in the center were a. Joseph Herman, MS, RD, LDN, Senior Director of Clinical Nutrition Services, a. Janet Little, MPH, RD, LDN, Nutrition Consultant and LVDA President, Michelle M. Doleniak, MA, RD, LDN, General Manager and Andrea Barnes, MS, RD, CSG, LDN. On Friday, April 17, 2015 the LVDA held “Take Your Legislators to Work Day” at Moravian Hall Square Retirement Living Community in Nazareth. We invited officeholders representing state and federal legislative districts in Northampton and Monroe Counties. We met with State Senator Scavello’s Chief of Staff, Taylor Munoz (newly-elected for a state senate district new to our area), State Rep. Samuelson, D-135, Rebecca Nichols, District Constituent Outreach Specialist, David Parker, D-115 (newly-elected to a state house district new to our area), Darlene Plank, Constituent Outreach Specialist, Representative Jack Rader, Jr., R-176 (newly-elected), and Diane Lamas, Legislative Aide, Representative Freeman, D-136. The Representative and staff remembered receiving congratulatory letters from PA Academy members/constituents. Thank you for mailing them! 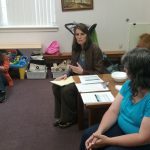 They shared additional tips with us such as meeting with the officeholder in their district office, asking who our opponents are, suggesting that we consider asking a senator to sponsor a bill or ask a state representative to sponsor the same bill in the house. State Senator Scavello has a new Northampton County Office located on 2 North Robinson Avenue in Pen Argyl. “We” included Cara Hillenbrand, RDN, LDN, Clinical Dietitian; Liz Brandl, Community Relations and Outreach Coordinator; Phyllis Familiario, DCN, RD, CSG, LDN, Senior Manager of Nutrition Services for Sodexo Senior Living, Northeast; Nancy Wagner, MS, RD, LDN, Renal Dietitian, Fresenius Medical Care, Outpatient Dialysis; and, Jacqueline Jarrett, RD, LDN, CDE, Vice-President and Co-owner, Advantage Nutrition & Wellness, LLC, Bethlehem, PA. They did a great job sharing their routes to the RD and beyond! Group photo left to right, back row: Taylor Munoz, Jan Little Front Row: Nancy Wagner, Jacqui Jarrett, Phyllis Familiaro, Cara Hillenbrand, Darlene Plank, Rebecca Nichols, Diane Lamas, Rebecca Nichols. Not pictured: State Representative Samuelson. 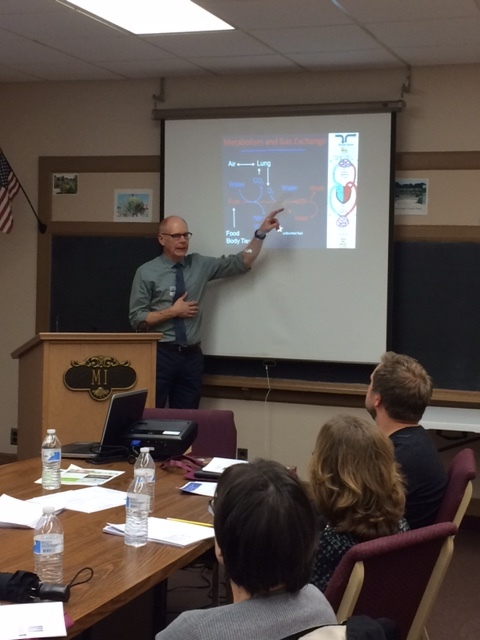 The photo was taken by Liz Brandl, Community Relations and Outreach Coordinator. 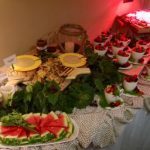 We thank Cara Hillenbrand and the administration of Moravian Hall Square Retirement Living Community for hosting this event. 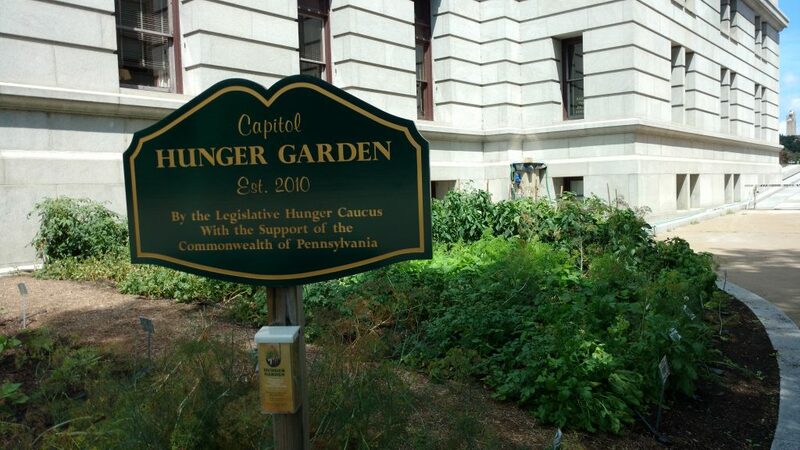 The “Hunger Garden” is located next to the Main State Capitol Building. It was started by the House Hunger Caucus. Local members of the PA Legislative Hunger Caucus are Senators Argall, Boscola, Mensch, Rafferty and Schwank. Representatives include Caltagitone and Schweyer. Jeanne Smith (constituent,) PPC Chair Jan Little, PA Rep.Emrick and Reimbursement Chair Jen Doane met at the Representative’s office in Nazareth on Monday, August 22 2016.